So, you're ready to take your meetings to the next level? Great! 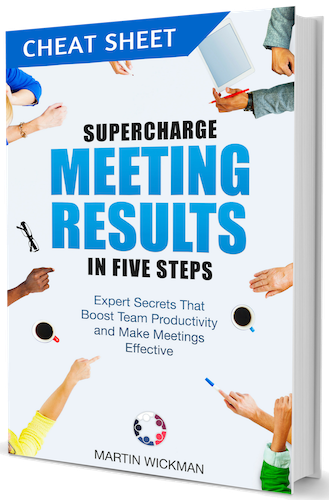 This ebook is a summary of everything you need to run effective team meetings. Guaranteed to make your meetings more productive. Get the basics of the five-step method and start creating super effective retrospective meetings! Step-by-step instructions to creating your agenda... including templates you can start using right now! Tips and hints how to handle difficult situations and yourself when things heat up! Yes, I Want the Free Cheat Sheet!